Hello every one, sorry for my english. you can see on the picture the problem, do you know if it’s possible to change the plastic part and replace the metal parts (pin). If it’s possible to change this parts do you have some website ti buy the parts ? 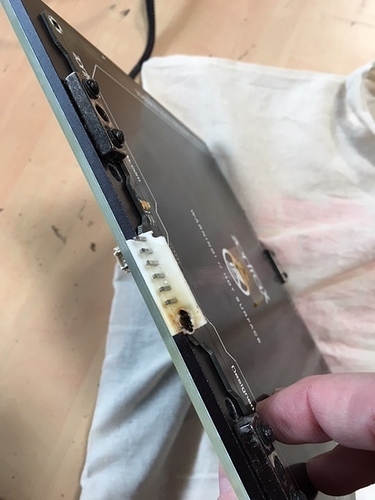 This kind of damage can affect heatbed cable and motherboard too. It would be the best to examine all these components and replace the damaged parts. Please, contact your Reseller or complete our support form.